Stop and think about it. I struggle with the idea of a 7 times 1 forgiveness. I can barely comprehend offering a 7 times 7 forgiveness, but God commands us to have a 70 times 7 forgiveness. I have preached many times that it was symbolic of an endless forgiveness, and yes, that is probably true, but I can't imagine forgiving 490 times much less endlessly. However, I think that if we forgave with a 70 times 7 forgiveness that it would no longer be a question of FORCING forgiveness because if I forgave that many times it would be a HABIT of forgiveness. Maybe that was what Jesus was teaching St. Peter. He was saying forgive so much that you don't even know how not to forgive any more. Wow! What if that was true about us? What if the habit of not forgiving was replaced by a habit to automatically forgive. What if we almost forgot how to not forgive? 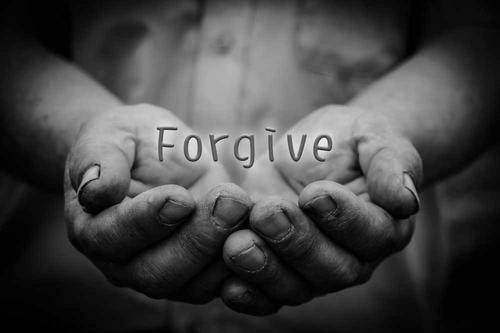 What if unforgiveness became as unnatural to us as forgiveness is to us now? That may be the ultimate proof of growth in our spiritual life. What a great muscle for us to develop, the forgiveness muscle. Forgive and repeat, forgive and repeat, forgive and repeat, etc. God give me that kind of forgiveness, a 70 times 7 forgiveness.